The Applied AGP 1 is an economical solution for supporting todays LED screen products. Two heavy duty hand winches allow you to raise the screen in either an outdoor or indoor setting. 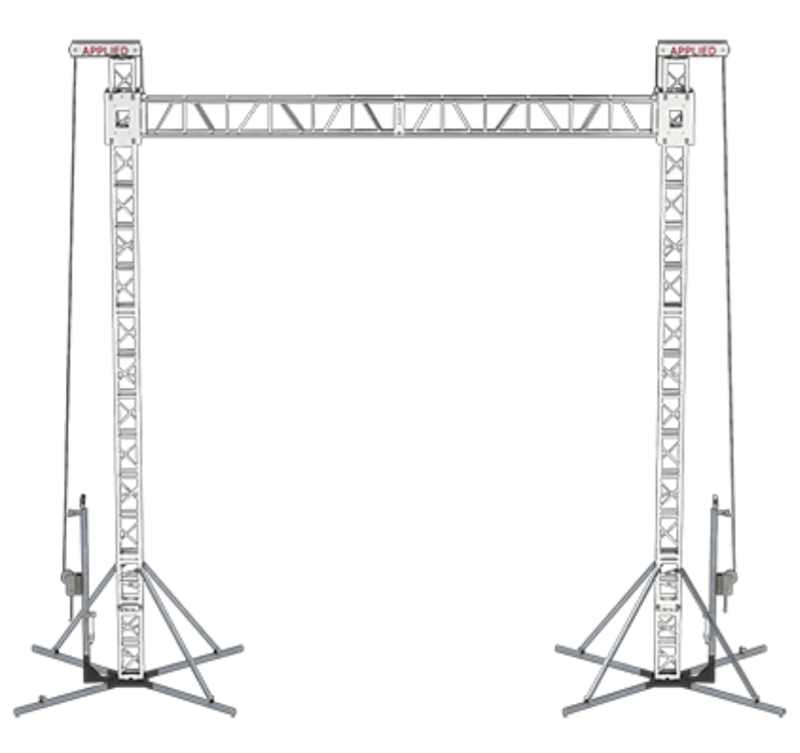 The cross truss for this system is Applied 12” x 18” heavy duty box truss with cross truss spans of 20, 25 or 30 feet. Each structure comes complete with a third-party engineering report with load limits, an operations management plan and guy wire and ballast requirements.